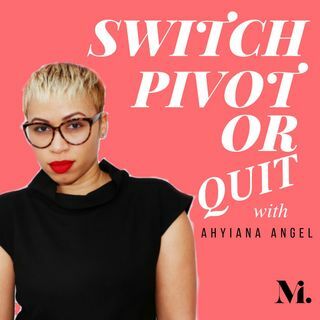 On this episode, host Ahyiana Angel chats with Brandi Richard, a mother, innovator, entrepreneur, author and advocate. She earned the distinction of being the first to hold the office of President for two consecutive terms of the National Urban League Young Professionals (NULYP) and currently serves as a Public Affairs Officer for the Federal Emergency Management Agency (FEMA). She has a passion to advocate for women and girls and has recently added author to her title with the release of ... See More her book Operation Growth. Among other compelling gems of advice, Brandi also breaks down how frustration and feeling stuck in one position led her to a community service side-hustle, which ultimately assisted her in developing the necessary skills to perform her current role.